Gunsmoke was not James Arness' first television western. "A Matter of Courage" first aired April 27, 1950. 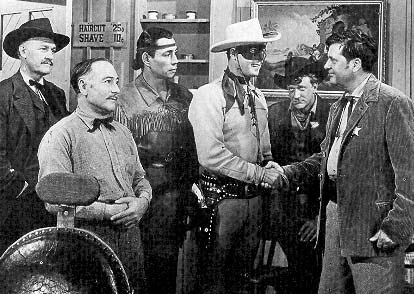 Glenn Strange (Sam the Bartender) and Dennis Weaver (Chester) also appeared on The Lone Ranger. Typically, actors on the Lone Ranger were paid $45 per day.